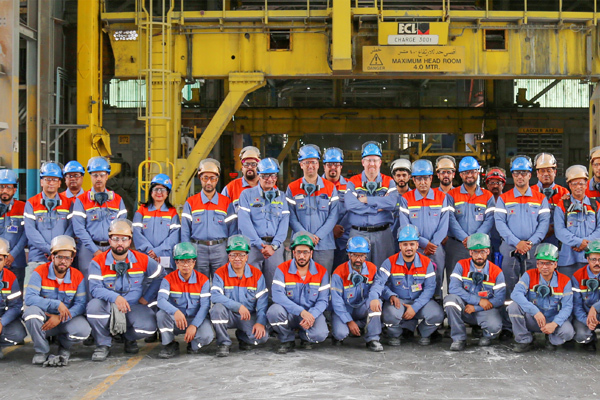 Aluminium Bahrain (Alba), the Bahrain-based aluminium smelter, as part of its commitment to safety, recently launched its plant-wide safety, health and environment (SHE) campaign ‘Safety ABC’. The campaign highlights key aspects of the 2018 CEO Expectation ‘Safety Selfie’ – the Arrival of Safety Selfie, Success is where Preparation & Opportunity Meet, Going Back to Basics, and Change Starts with Belief, said a statement from the company. “By being more self-aware about safety, we can boost our resilience and be well-prepared for the challenges ahead with the rise of Line 6 and as we approach the hot summer,” he added.